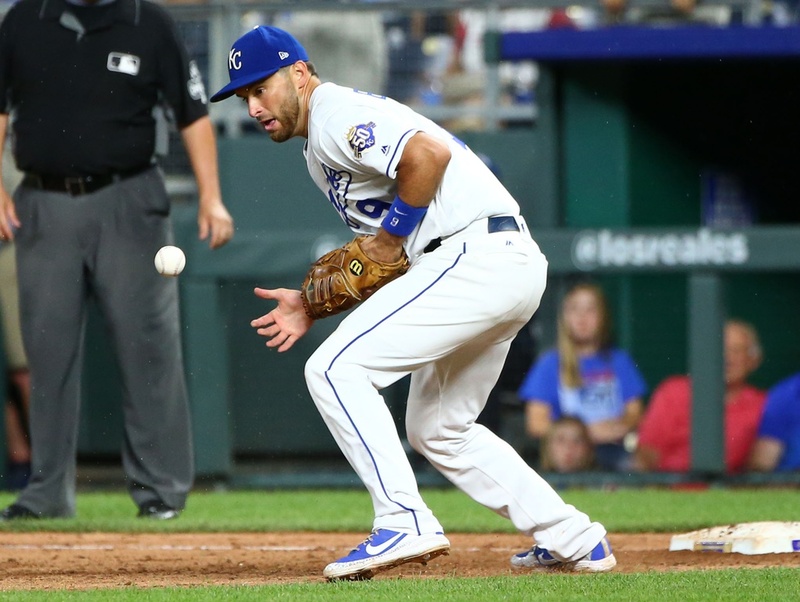 Aside from losing again (of course they lost, do grow up), there were some real positives for the Kansas City Royals in Monday’s game against the Chicago Cubs. Okay, so I can’t think of anything off the top of my head. For the 40th time this season, the Royals managed less than three runs. And sure, I’m going to spend another 700 words on this, but that’s something I feel like you, dear reader, need to know. The Royals have played 112 games; more than a third of them have featured less than half the MLB average of 4.45 runs per game. That’s probably why the Royals have done all that infernal losing. One feels for Jakob Junis. He hasn’t been great of late, but his five innings five-hit, one-run ball that included eight strike outs were more than enough to win. He got the ERA back under 5.00. Maybe he hasn’t ascended to the No. 2/3 starter that many hoped he’d become, but good golly ain’t nobody gonna get many wins when they’ve got to throw a shutout and pray that the bats and bullpen do something to help. Right out of the gate, things were looking good for the Baby Blues. Cubs leadoff hitter Anthony Rizzo lifted a lazy fly into shallow left and a hard-charging Alex Gordon snared it. In the second, Rosell Herrera gunned down Willson Contreras attempting to stretch a single into a double. The defense was holding up its end of the bargain, and the offense came to life long enough to give the Royals a lead in the second. Herrera singled ot lead it off and moved to second on a Jorge Bonifacio tapper. With two down, Alcides Escobar earned his next multi-year extension with a run-scoring single to make it 1-0. Junis would enjoy the lead for all of eight outs. In the top of the fourth, Ben Zobrist’s return to Kauffman Stadium, which had earned him a nice ovation in his first at-bat, was met with slightly more derision after he led off with a triple. Jason Heyward walked, Javier Baez struck out and then, with runners on the corners, Junis’ 1-2 slider missed by a sizable margin and got away from Salvador Perez behind the plate, allowing the wily Zobrist to race home from third to tie the game. Both teams loaded the sacks in the fifth but came away with nothing. Addison Russell and Albert Amora Jr. picked up one-out singles to turn the lineup over to Rizzo, who walked. Zobrist hit a grounder to Drew Butera at first, who made what I’m sure was an awkward throw home for a guy who had played all of 50 innings at first in his career and none in 2018. Either way, Russell was out at the plate, and Heyward’s ground out to Hunter Dozier at third ended the threat. The Royals bases-loaded failure felt very Royalsy, in that it was always likely to lose but gave hope either way. Butera singled with one out before Whit Merrifield struck out. But then Gordon singled and Perez was hit by a pitch to load ‘em up for cleanup man Hunter Dozier, who worked the count full… and grounded out to Rizzo at first to end the inning. After 87 pitches, Junis was removed for Kevin McCarthy. Baez was happy to see him, because he launched a homer on McCarthy’s first offering to put the Cubs ahead for good. For funsies, he added an RBI double in the eighth inning to score Zobrist after a leadoff single and provide the hardly-needed insurance run. Maybe don’t put your backup catcher as the first baseman?